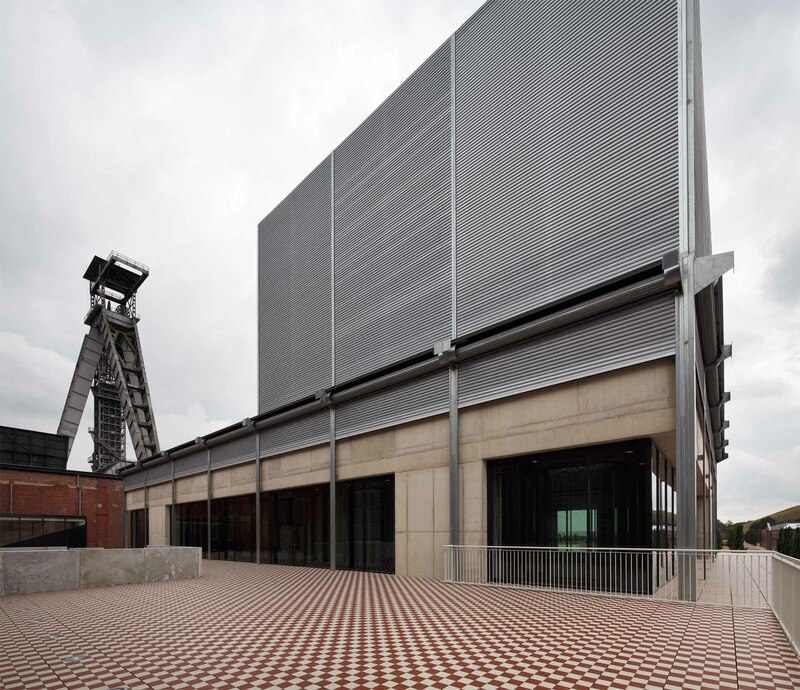 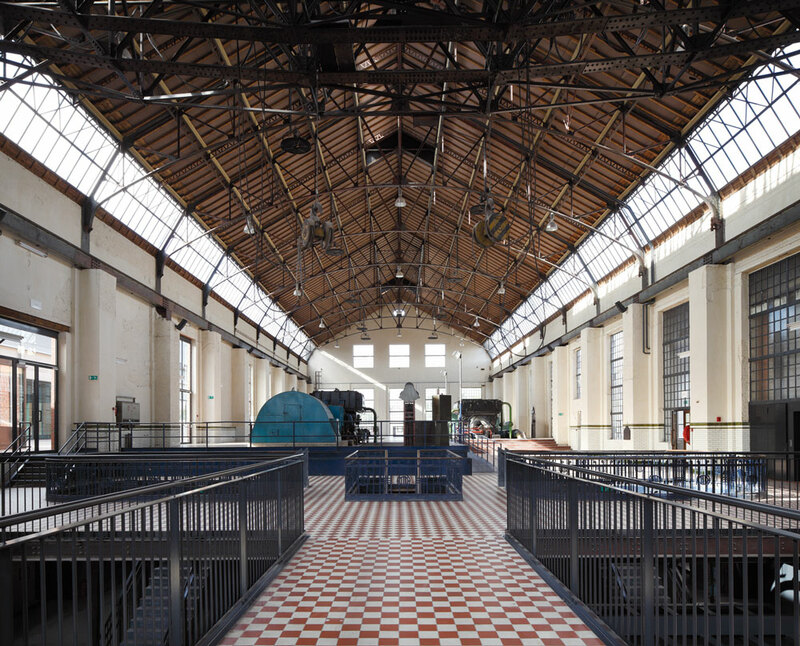 C-mine is a distinct and precise answer on how to deal with large-scale industrial heritage. 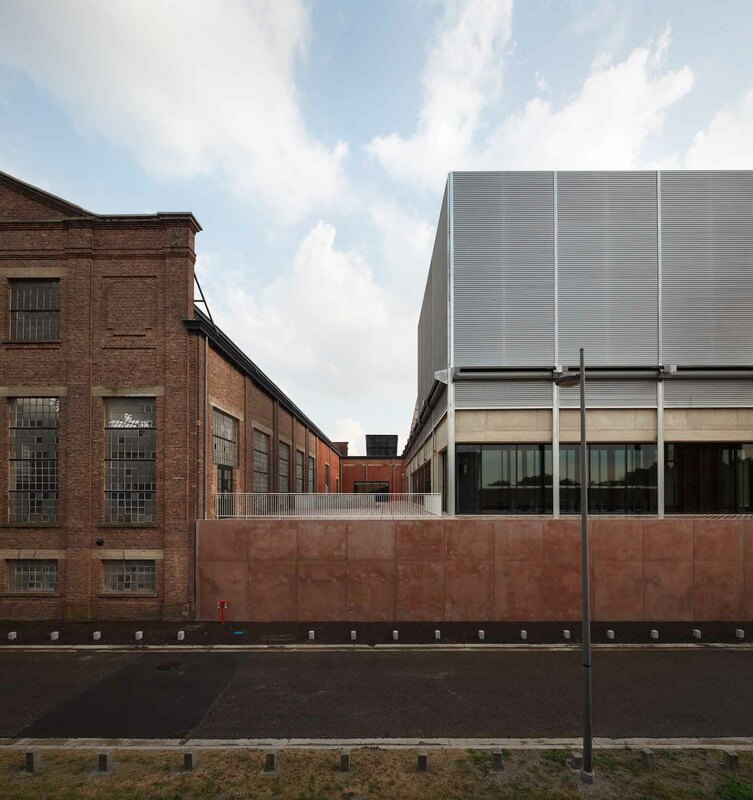 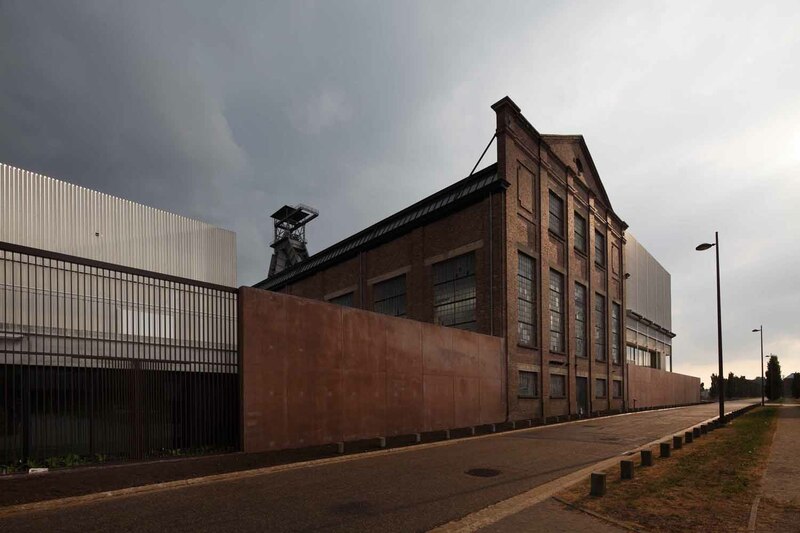 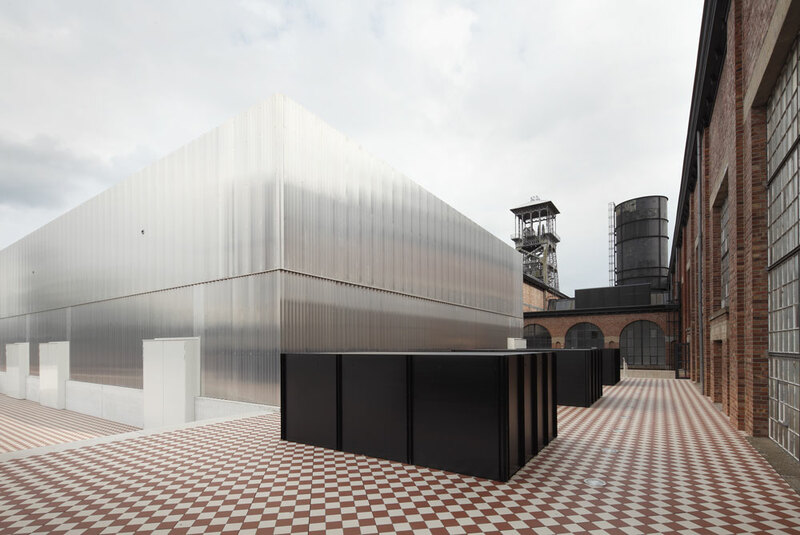 Since 2005 the City of Genk, being an important partner in the Carbon Belt stretching as far as the Rühr Area, has been actively redeveloping its past. 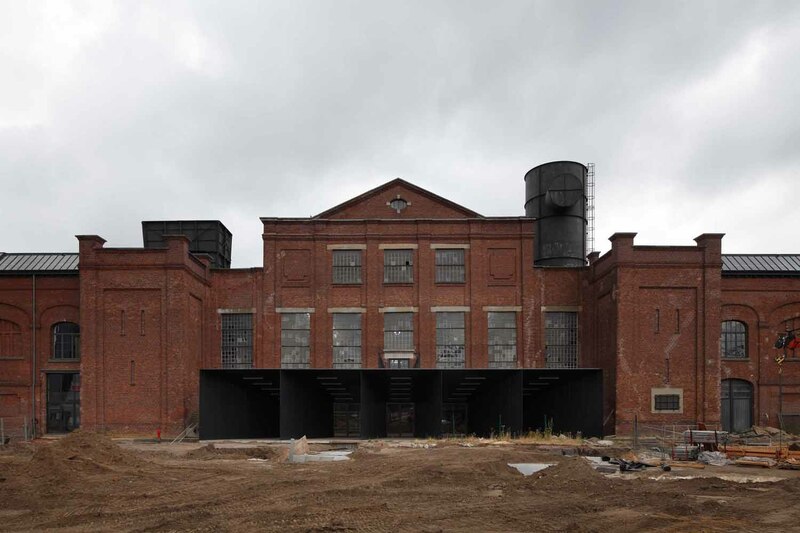 The central turbine hall will become the new pivotal point of this brownfield operation, becoming the future cultural infrastructure node for the wider area. 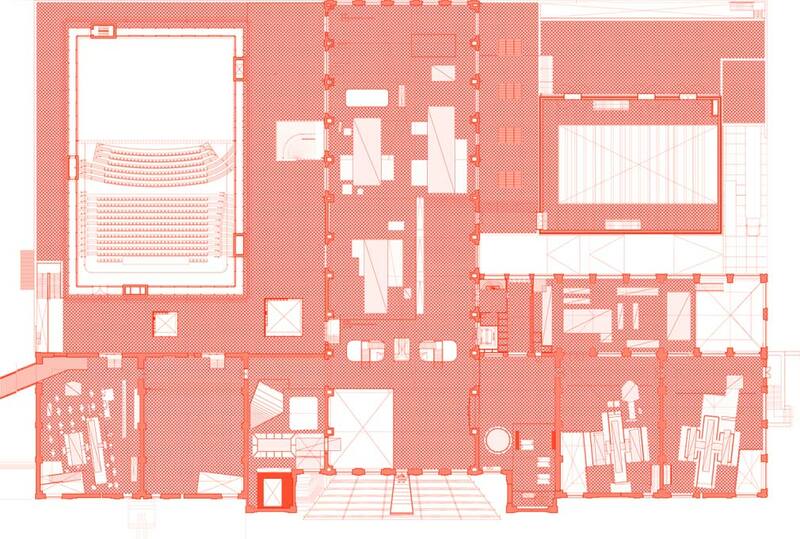 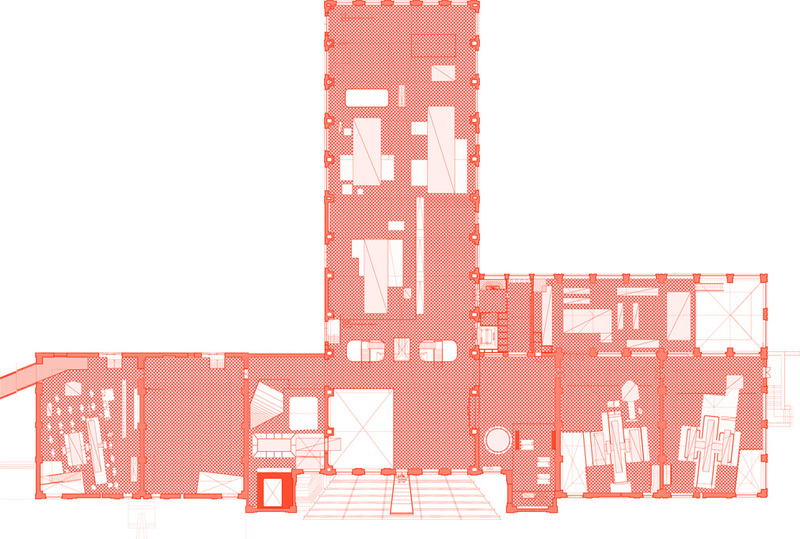 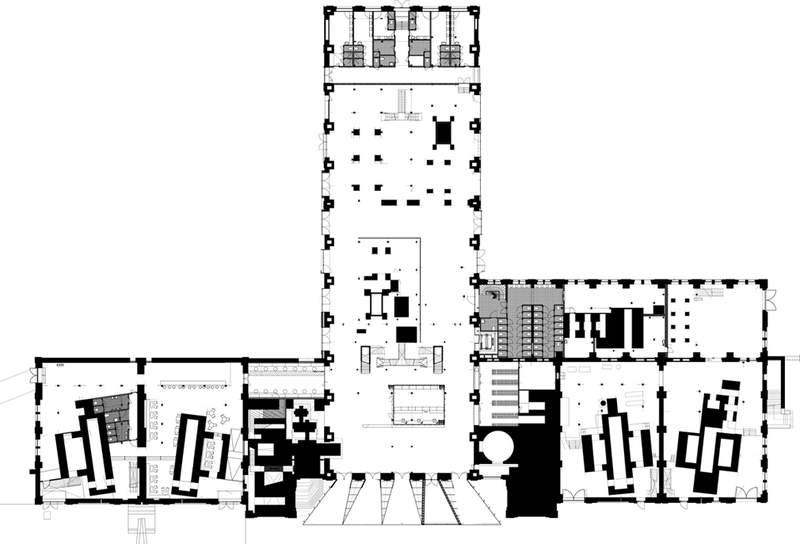 The operations performed on the existing buildings are voluntarily restricted and extremely direct. 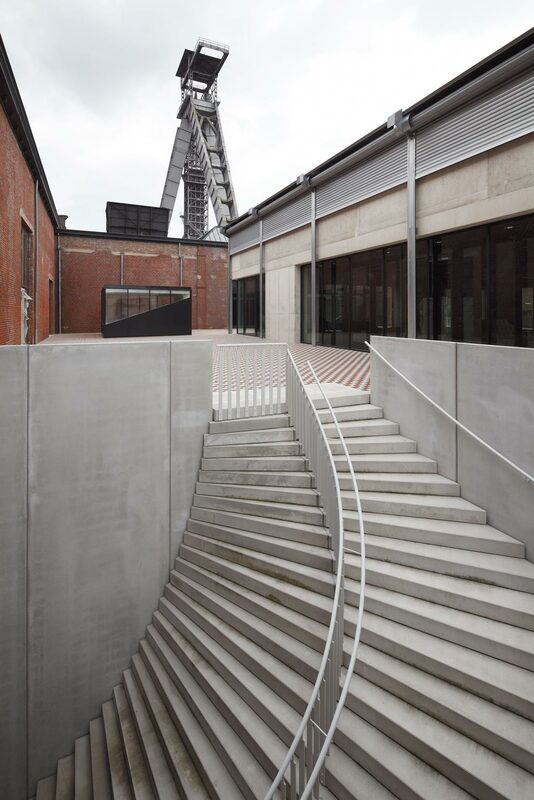 The new infrastructure added on to the existing brick layered power plant, is fully based on the existing division – a 5 metre high base upon which stand top lit machine rooms. 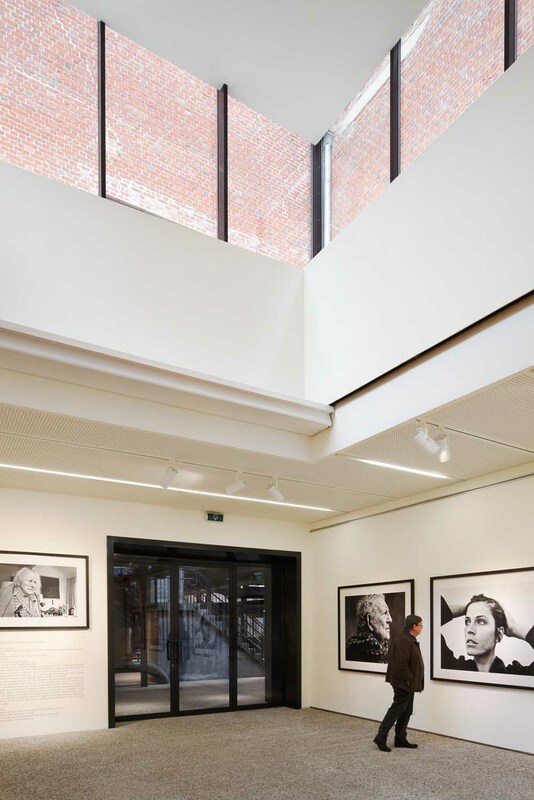 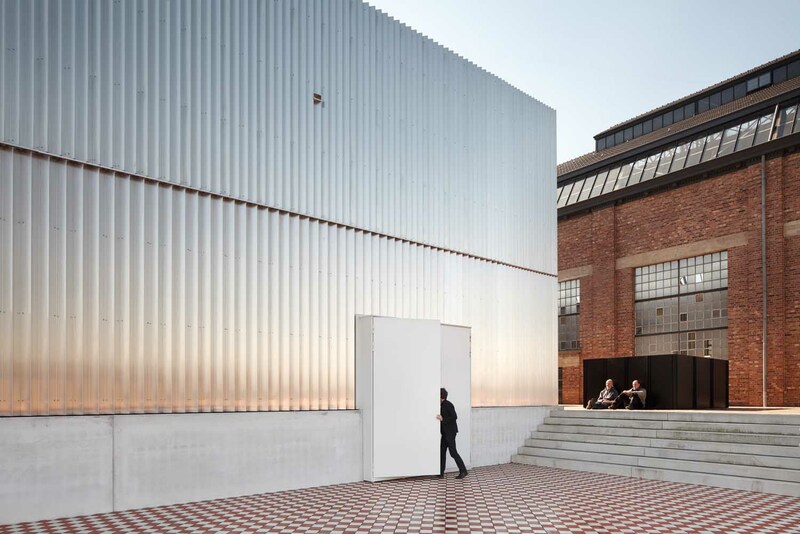 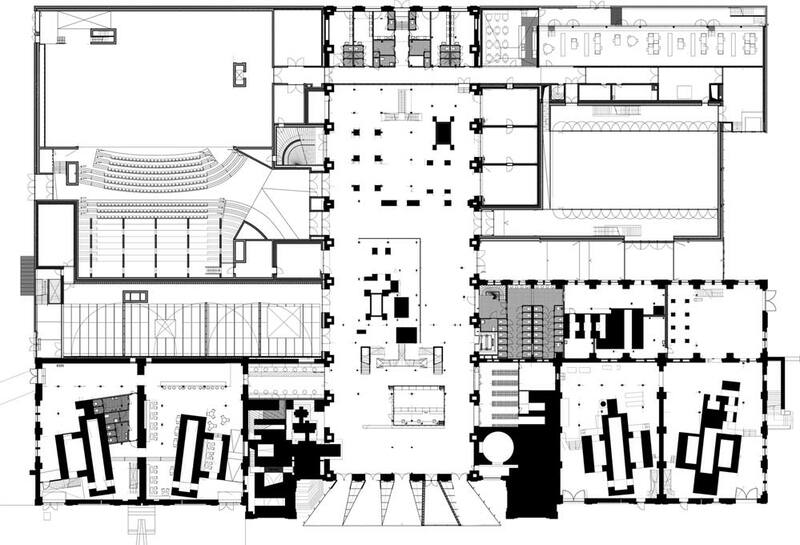 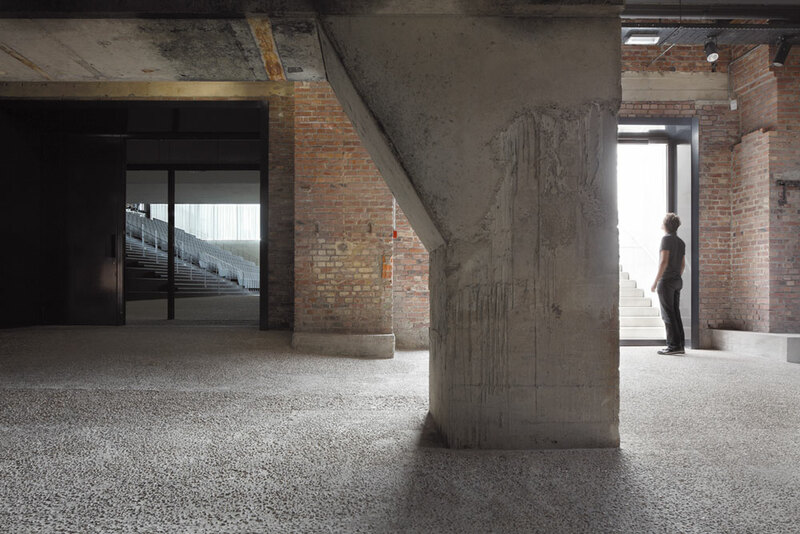 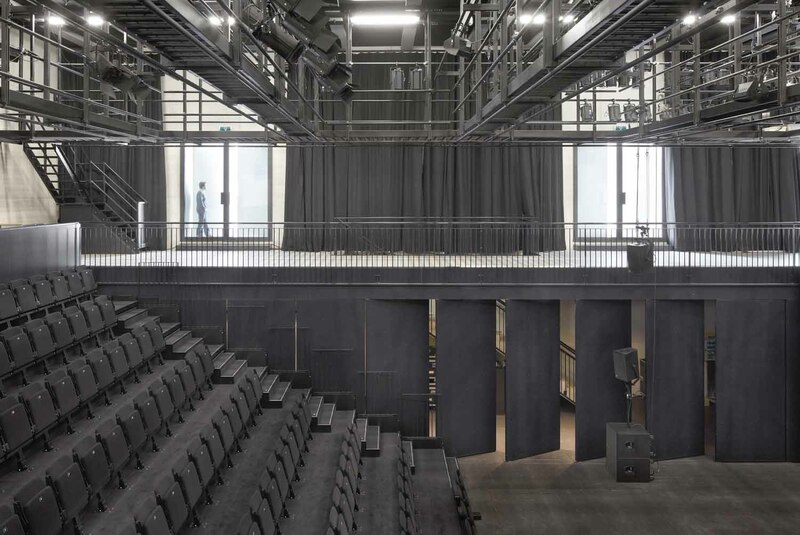 By extending the base with two new concrete additions, a deep and fascinating ground level comes into being, a labyrinth-like foyer including exhibitions spaces, offices, a café, a restaurant, meeting rooms and accesses to the two new theatres. 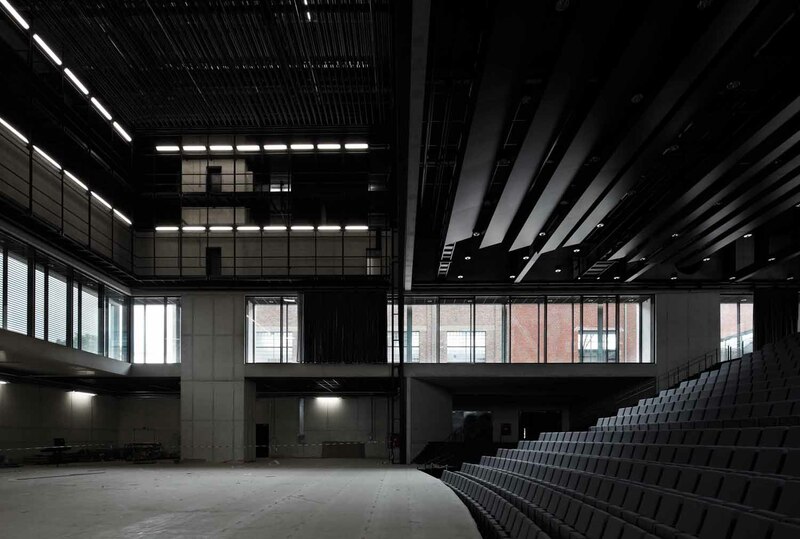 The theatres are conceived as day lit machine rooms, inside which the old brick infrastructure becomes the backdrop for a new stage.